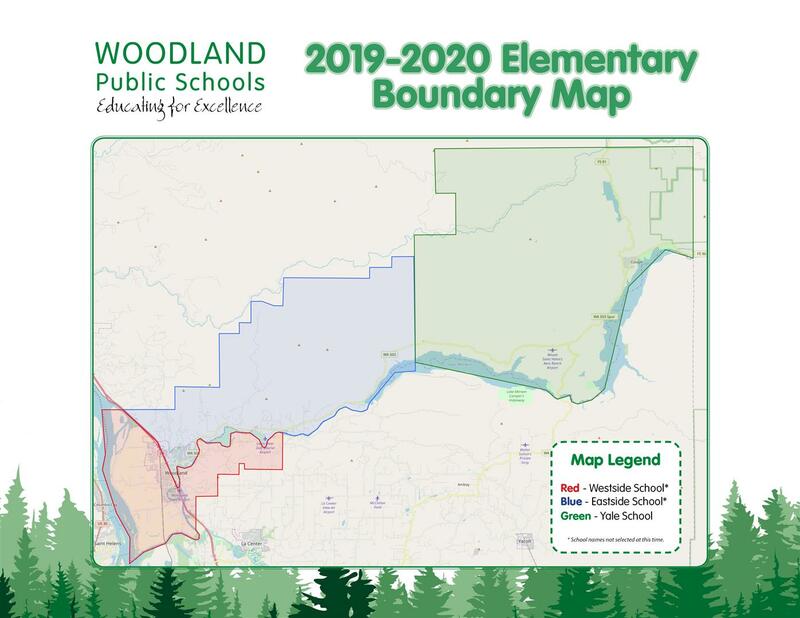 Woodland Primary and Woodland Intermediate Schools will be reconfigured to join Yale Elementary in serving grades K-4 beginning with the 2019-2020 school year and all three schools will have attendance area boundaries. In order to develop the optimal boundary plan for the new neighborhood schools, the district reached out to parents and guardians of current students attending WPS and WIS for insights into the community’s most-desired priorities for reconfiguration. The district’s reconfiguration planning committee used the community feedback to create eight boundary proposals for the Board of Directors to review and consider. Each proposal was designed with consideration to geographic limitations, neighborhood communities, current capacity of each building, transportation routes, and the likelihood of future growth in the attendance areas. “The planning team developed options taking the top three priorities into consideration without creating awkward boundary lines that might divide neighborhoods or otherwise substantially inconvenience parents or students,” explained Superintendent Michael Green. On Monday, December 17, 2018, the school board approved a school boundary plan that will address these many considerations and will provide substantially reduced school bus transportation times for many students. Spending less time on buses helps students and families accommodate childcare needs and after-school activities and reduces stress for students.